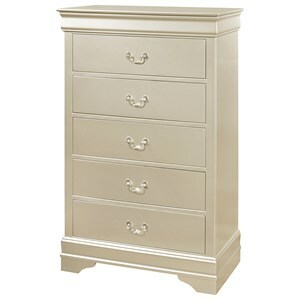 Add a touch of bold and glamorous style to your bedroom with this 5-drawer chest. 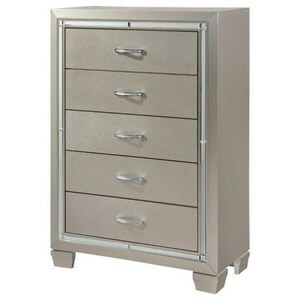 Its textured drawer fronts and sparkly hardware create its fashionable look, while its dark finish make a striking statement. 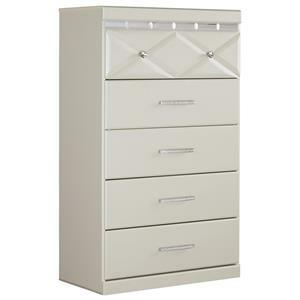 The Micah Glam 5-Drawer Chest by Crown Mark at Household Furniture in the El Paso & Horizon City, TX area. Product availability may vary. Contact us for the most current availability on this product. 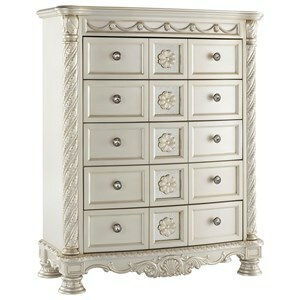 Bring some drama and glamour to your bedroom with this striking collection. Features such as their dark finish and textured door fronts ensure these pieces are ready to help make your room as stylish and glam as you. 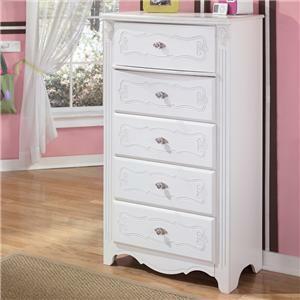 The Micah collection is a great option if you are looking for Glam furniture in the El Paso & Horizon City, TX area.